Sai is the very image of highest Mercy and the one thing needed here is steadfast devotion to him. 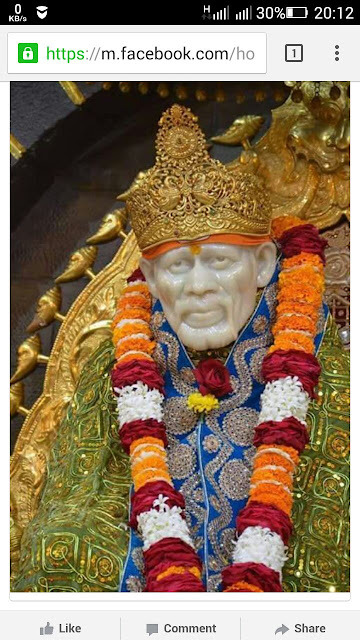 Once the devotee begins to cherish a single-minded devotion to Sai, he (Sai) will ward off all his calamities and suffering; he will also grant him all that he desires. Devotees make plans, but they do not know their own benefit. Guru alone knows the devotees' interest, future, past and present. The child asks for sweets, but the mother gives him a potion of medicinal herbs. It may cry, struggle violently in resistance. But such is the mother's verdict, and all out of a loving concern for its well-being. Baba knew full well the future condition of his devotees. Sai's words proved unmistakably accurate, and as per his words, children were born. Even when I am no more, trust my words as the truth. My bones will give you an assurance from my grave. "Not me alone, but even my tomb will speak to you. He who surrenders to it whole-heartedly, with him will it sway. "Do not worry that I will be lost to you. You will hear my bones speaking to you of matters of your own interest. "Only remember me, always, with a heart that is trusting. Worship me selflessly and you will achieve your highest weal. "